Social Graces, Inc. is a Wedding and Party Planning Service. We can help you plan your wedding or party or help with just one consultation. We take the stress out of your special day. We also carry wedding and party invitations. We will help you word your invitation. A calligraphy and mailing service is available. We makes handmade chocolate favors for your wedding or party. We carry save the date cards, pocket invitations, Bar and Bat Mitzvah, Communion and baby invitations and much more. Rehearsal and wedding day services are available. Our company was featured in Joan Hamburg Book “City Wedding”. Be the first to review Social Graces Inc. I will help you plan your wedding or party & show you ways to save time & (link hidden)cial Graces Inc. has many invitation books & we will help you word your invitation. We carry save the date cards, hand calligraphy & more. 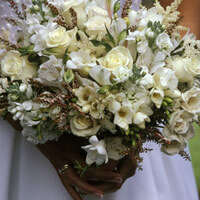 We have wedding & rehearsal day services. We have been in business for over 25 years.